The annual Hoover Institution Summer Policy Boot Camp is now underway with a great group of college students and recent graduates from around the world. The one-week program consists of lectures, workshops, and informal discussions, but it’s best described as a good “policy workout” on today’s top national and international issues grounded with data and theory. I led off with the first session on “Monetary Policy: What Works and What Doesn’t.” The session began with a short review of monetary economics including the functions of money, the effect of money on inflation, and the role of central banks such as the Fed. It then examined monetary history—both old and recent—and explained how good monetary policy results in a smooth operating economy with low inflation and low unemployment, while poor monetary policy leads to instability, crises, and deep recessions. Finally, we then used this information to recommend a monetary policy for the future. 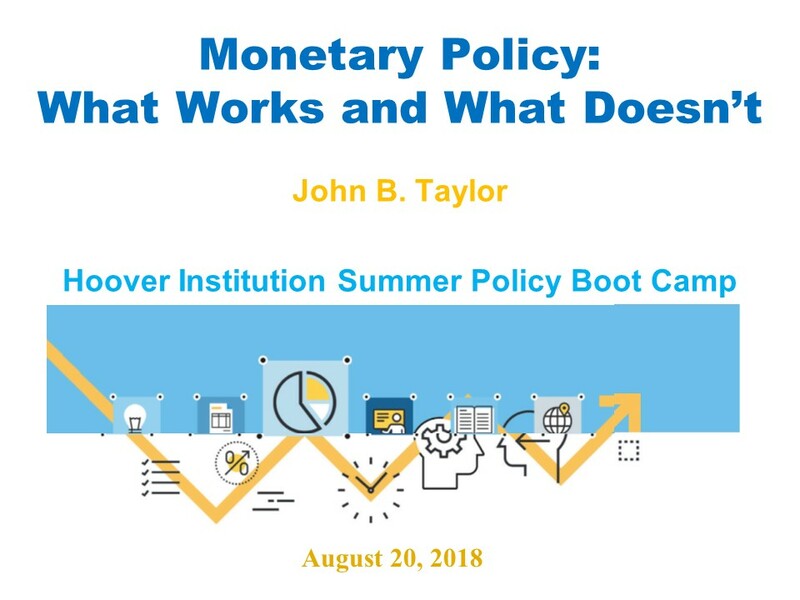 Monetary economics and policy are two of the most important topics in economics and government policy, and thus is a good place to start off the Boot Camp. Mistakes in monetary policy – such as those leading to the Great Depression and the Global Financial Crisis—are devastating to people’s lives. Central banks are one of the most powerful agencies of government, and yet they have a great deal of freedom in a democracy. The most important lessons from this session are that monetary reform is needed, that the Fed is getting back on track in the past year and a half, and that it is crucial that it stays on track in the future. Other policy topics during week include tax policy, budget policy, public pensions, immigration, education, environmental policy, health care, regulatory policy, foreign policy and domestic politics. The teachers in the program are faculty and fellows from the Hoover Institution, including experts with experience in economics, government, law, history, political science, and foreign policy. The lineup this summer includes Scott Atlas and Josh Rauh (the conference organizers) along with Terry Anderson, Michael Auslin, Michael Boskin, David Brady, John Cogan. Michael McConnell, James Ellis, Morris Fiorina, Stephen Haber, Victor Davis Hanson, Daniel Heil, Caroline Hoxby, Edward Lazear, Amit Seru, George Shultz, Kiron Skinner, Bill Whalen, and John Yoo, with guest dinner speakers Joe Lonsdale, Amy Wax, and Jason Riley. A series of videos on the various topics is planned for the future. It’s fun and free of charge, including lodging and meals. So think about applying for next summer! Consider in contrast the situation exactly twenty years ago on August 17, 1998 when Russia—in the middle of its own financial crisis—defaulted on its debt and the impact spread instantaneously around the world. The three charts on my bookmark, shown here, illustrate that experience. The emerging market bond index (EMBI) spread jumped in Asia, Africa, and Latin America at the time of the Russian dealt which is marked by the red vertical line. 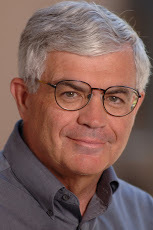 Many argued at the time that this was the way the world markets had become in the globalized economy; policy makers at the IMF and elsewhere, it was argued, had to be ready with bailouts to deal with the inevitability that a financial crisis in one country would automatically lead to crises in many other countries. This was the still a common view in January 2001 when I joined the U.S. Treasury to run the international division. A crisis was brewing in Argentina then, and many argued that we needed to be ready for bailouts of emerging markets around the world to deal with predicted contagion. Argentina in 2001, like Russia in 1998, was in a financial crisis and it did default on its debt; however, unlike the Russia case, the international contagion effects were nowhere to be seen, as illustrated on the reverse “no contagion” side of the bookmark shown next. 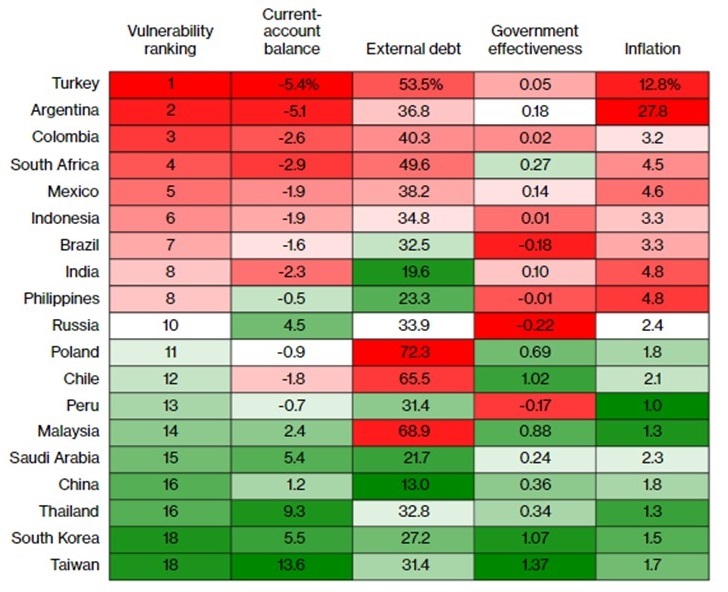 The EMBI spread in Asia, Africa and Latin America was unaffected by the default. There were important policy differences between the two episodes. International policy was becoming more predictable and gradual so that the Argentinian default was widely anticipated, discounted and had little or no impact. Other countries were better prepared, and, by this time, the notion that there were important policy differences that affected the likelihood of contagion became more widely discussed. One could find a great deal of difference between countries and thus find ways to discriminate between good policy and bad policy. Kristin Forbes, then at MIT and the Treasury, was doing a lot of the research. There was also the new view that an orderly restructuring rather than a sudden default would lead to less contagion and would be possible if collective action clauses were introduced in sovereign debt. In my view, it is encouraging that now the policy differences between countries are being examined carefully. Analysts are pointing to poor monetary and fiscal policy in Turkey as the source of the problem. They are creating heat maps, as shown below and drawn from the paper by Peter Coy that tries to show the differences in policy in different countries. Those most susceptible to contagion are countries where policy has been relatively poor in recent years such as Argentina and South Africa. There is still a danger of poor policy responses in Turkey or elsewhere that could make the problem worse, and even lead to contagion. Trade policy skirmishes could become a trade war and are already a source of uncertainty. If Turkey resorted to capital controls to limit outflows, then investors might expect such controls in other countries, and get out while the getting is good, which could result in contagion. The fact that the IMF has developed and publicized the concept of capital flow management in recent years could hastened this contagion. Some are blaming the normalization of policy in the United States, and suggesting that the policy be slowed or halted. The normalization by the Fed seems to put downward pressure on exchange rates in some emerging market countries. But it would be a mistake for the US and the world economy to change policy at this time. The Fed’s Monetary Policy Report released last Friday devotes a lot of space to monetary policy rules. This is the third time in a row that the monetary policy report has included such discussions, the first being in July 2017 and the second in February 2018. Compared with the previous two monetary policy reports, this Report adds new material on policy rules, and is joined with a helpful discussion of policy rules now integrated into the Monetary Policy Principles and Practice section of the Fed’s web page. All this represents progress in my view. It would be good if the new material generates some questions and answers in the Senate and House hearings with Fed Chair Jay Powell this week. Having such a discussion is one of the purposes of the bills in Congress under which the Fed would report on policy rules and strategies. As with Fed minutes, there is something to be gained from examining the similarities and differences compared the most recent and previous reports, though the process of reporting is probably still evolving and a purpose of policy rules is that they entail less not more fine-tuning. 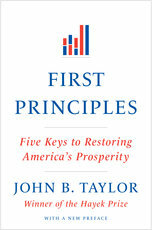 The new report presents (p. 37) the same key principles of policy embedded in the Taylor rule and other policy rules as discussed in previous reports: “Policy rules can incorporate key principles of good monetary policy. One key principle is that monetary policy should respond in a predictable way to changes in economic conditions. A second key principle is that monetary policy should be accommodative when inflation is below the desired level and employment is below its maximum sustainable level; conversely, monetary policy should be restrictive when the opposite holds. A third key principle is that, to stabilize inflation, the policy rate should be adjusted by more than one-for-one in response to persistent increases or decreases in inflation.” The section “Principles for the Conduct of Monetary Policy” on the Fed’s web site discusses in more detail how these principles relate to policy rules and explains the rationale for the third principle, sometimes called the Taylor principle. That is, the latest report focuses on uncertainty about the “neutral” or “equilibrium real” interest rate while the earlier reports also focused on uncertainty about the neutral unemployment rate and the measures of inflation. Indeed, the latest report has a new table (p. 41) shown below, and long discussion reporting on recent research on the neutral rate. Note that the point estimates range from 0.1 percent to 1.8 percent. I think it is significant that the discussion of the neutral rate is placed within the discussion of policy rules in the report. Like many aspects of uncertainty, this particular uncertainty has profound effects on policy making whether policy is rules-based or not. However, the discussion of the policy implications of this uncertainty is much clearer and more informative when it falls, as in this report, within a framework of policy rules. That there is a wide range of uncertainty is illustrated in this time-series diagram drawn from the report. 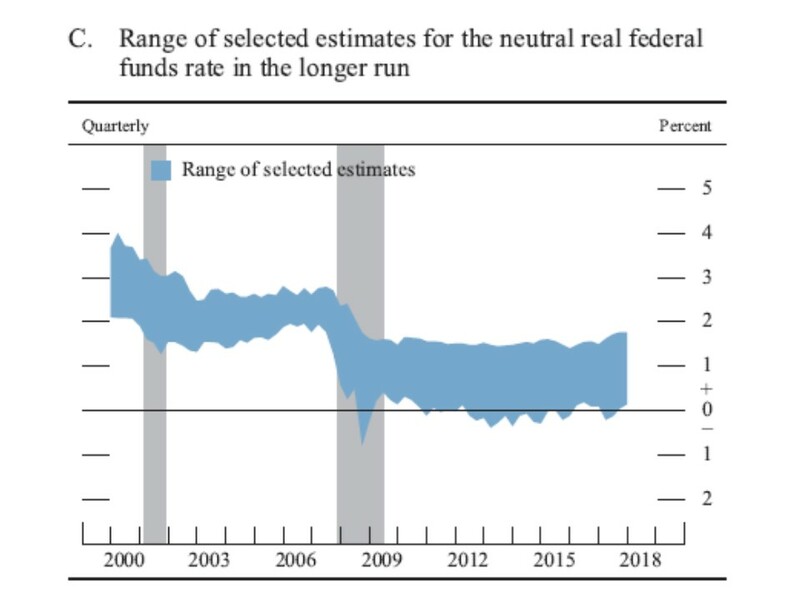 Note that the the estimated neutral rate was much higher in the years from 2002 to 2007 before the Great Recession indicating that, according to these estimates, the “two-low-for-too long” period cannot be rationalized as due to a decline in the neutral rate. For the past nine years on Independence Day (see here and here for example), I’ve plotted the most recent long-term projection of the federal debt by the Congressional Budget Office as a reminder that it’s as explosive as the Fourth of July fireworks seen all over America. The CBO just released its latest long-term forecast, and while their shortening of the horizon and eliminating the alternative fiscal scenario may blur the underlying problems, the message, like the fireworks display, is still loud and clear: The debt is still exploding after all these years. 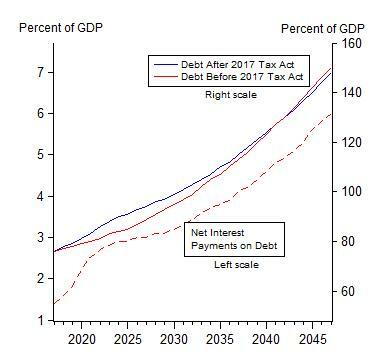 The figure shows three explosions: Net interest payments on the debt as a share of GDP and the debt as a share of GDP before and after the “Tax Cuts and Jobs Act of 2017.” The chart is constructed from CBO forecasts for 2018 to 2048 in 2018 Long-Term Budget Outlook released on June 26, 2018. Note first that net interest payments quadruple as a share of GDP over the period, rising from 1-1/2 percent to 6 percent, due to a combination of rising interest rates and rising debt. This will bring net interest payments to 21 percent of the federal budget. If interest rates on the debt rise to level higher than the 4.4 percent assumed in the forecast, then the debt situation will be even worse. Second, note that the debt was on an explosive path before the 2017 Tax Act and it is still on an explosive path even though, and this is important to note, the debt is a couple of percentage points lower as a share of GDP in 2048 with forecast after the 2017 Tax Act. While the CBO no longer goes out more than 30 years, the scary trajectory for the rest of the century is unmistakable. In my view, as in most of the past decade, there is not enough attention paid to this problem in Washington. The problem is increased entitlement growth, not the recent tax reform, as was pointed out in a recent oped by Michael Boskin, John Cochrane, John Cogan, George Shultz and me in the Washington Post. A big question addressed at this year’s annual Hoover monetary conference was “The Future of the Central Bank Balance Sheet,” including the amount of reserve balances that banks hold at the Fed. The issue is one that “the [Federal Reserve] Board and the FOMC are in the process of observing and evaluating” as Vice-Chair Randy Quarles put it at the conference. There are two basic approaches to the question. One is for the Fed to aim for a supply of reserve balances in which the interest rate is determined by the demand and supply of reserves—in other words, by market forces. Sometimes called the corridor approach, it’s what Fed used for decades before financial crisis. The second approach is for the Fed to aim at a supply of reserves well above quantity demanded, and then set the interest rate through interest on excess reserves. This method is sometimes called a floor system. Randy Quarles who led off the previous session with “Liquidity Regulation and the Size of the Fed’s Balance Sheet. This is a topic where any short summary will miss the mark, and there’s no substitute for reading the the fascinating evidence-based papers, some with really catchy titles. I understand that a Fed decision is likely in the next year. So let the debate go on. Economics 1 Online. Summer 2018. Free. The course is based on the on-campus course at Stanford. Each day after giving a 50-minute lecture, I recorded the same lecture divided into smaller segments for online viewing. We added graphs, photos, and other illustrations–just as in the on-campus course; we captioned and indexed the videos–an attraction not in the on-campus course; and we added study material, reviews, quizzes, and a discussion forum. The first week of the course covers “The Basic Core of Economics” focusing on such ideas as opportunity cost and the supply and demand model with practical applications. Just learning this Basic Core is a significant and worthwhile accomplishment. The course then considers topics in microeconomics and macroeconomics including key economic policy issues. I draw on experience in government and the private sector. People who participate in the open online course and take the short quizzes following each video will be awarded a Statement of Accomplishment, or a Statement of Accomplishment with Distinction. My textbook with Akila Weerapana, Principles of Economics, and its shorter versions, Principles of Microeconomics and Principles of Macroeconomics, can be downloaded and used online to go along with the course thanks to FlatWorld. Russell Roberts‏ @EconTalker: Great class. Great teacher. No charge. Get your basics right here. Ike Brannon‏ @coachbuckethead: The most entertaining economist I know. Brian Wesbury‏ @wesbury: If you want to learn Economics from one of the best, click on this link! What great news! Tom Church @TomVChurch Interested in economics? Take Econ-1 online. Pass the quizzes and get a statement of accomplishment! Plus, you’ll learn a thing or two. Chris Pippin @ChrisPippin This is the class and the professor that made me an Econ major. Thanks to the generosity of @EconomicsOne and the miracle of the internet, now anyone can take it. Nicolas Petit @CompetitionProf Great course by terrific teacher, comprehensive & more than all eye opening on real world problems like trade wars and monetary policy. I got the idea from Phil Howrey who was then on the Princeton faculty. Phil was doing research with Michio Hatanaka, who had just published Spectral Analysis of Economic Time Series with Clive Granger who had visited Princeton. They were all interested in dynamic stochastic models of the economy, and so I got interested. How lucky for me. I had taken a macro course from Phil, without ISLM but with many dynamic stochastic equations—quite unusual for the time, and I was forced to view the economy as a moving dynamic structure. The idea of policy as a rule made so much sense. There was no other way to do policy with those models. I recall that I really loved working on this project. 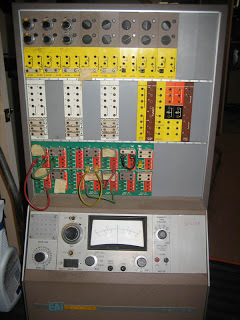 I spent long hours in a carrel in the basement of the library reading and deriving equations in the winter and spring of 1968.
and on an electro-analog computer (an Electronic Associates TR-20 located at the Engineering School)—a circuit with capacitors, resistors, and amplifiers hooked up to an oscilloscope. I simulated monetary policy rules of the kind that engineers had used to stabilize mechanical processes: proportional, derivative and integral. The monetary policy rules had the money supply on the left-hand side, rather than the interest rate. Milton Friedman gave his famous AEA presidential address that academic year (on December 29, 1967) in which he criticized the Phillips curve and discussed the role of monetary policy. My thesis combined two strands of A.W. Phillips research: evaluation of policy rules and a model cyclical growth. But, fortunately, the thesis did not exploit any long-run trade-off implicit in the Phillips curve by trying to raise money growth and inflation permanently to get a permanently lower unemployment. We have made progress in the development and application of monetary policy rules in the past 50 years, but I am optimistic that we will make much more progress in the next 50 years. 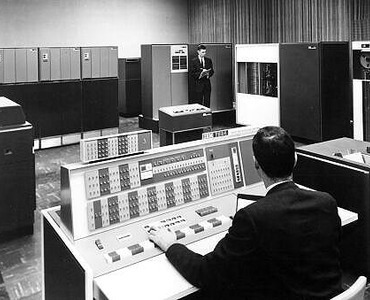 Laptops are thousands of times faster than that old IBM 7094, and we now have artificial intelligence, machine learning, big data, bitcoin, now-casting, and instantaneous and global communications. And we are accumulating vast amounts of practical experience over time and in different countries. So, students, get started on that thesis.